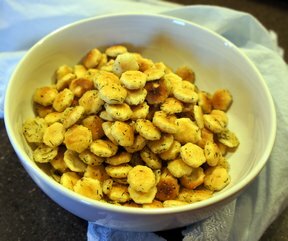 A no-bake salty snack that everyone loves. 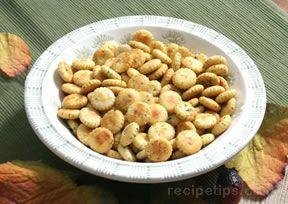 Dill and oyster crackers...not just for the holidays! 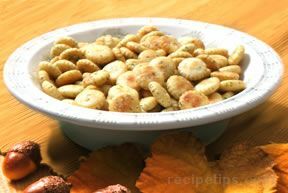 Mix first 4 ingredients together and pour over oyster crackers. Toss and let set for about an hour, making sure to toss every 15 minutes. 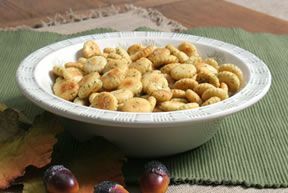 Crackers will absorb oil.